For this 2014 video, John Waters recast his 1972 cult film Pink Flamingos—considered one of the most notorious films ever made—with children reading a cleverly modified G-rated script. The 74-minute video shown on a continuous loop in the Black Box gallery features adorable kids wearing wigs and suggestions of the original costumes as they evoke the legendary performances of Divine, Mink Stole, Edith Massey, and others. Filmed in one day mostly with friends’ children, Waters has said the new version is in some ways more perverse than the original. 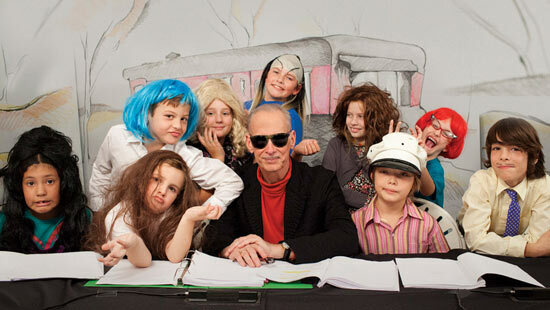 For this 2014 video, John Waters recast his 1972 cult film Pink Flamingos—considered one of the most notorious films ever made—with children reading a cleverly modified G-rated script.